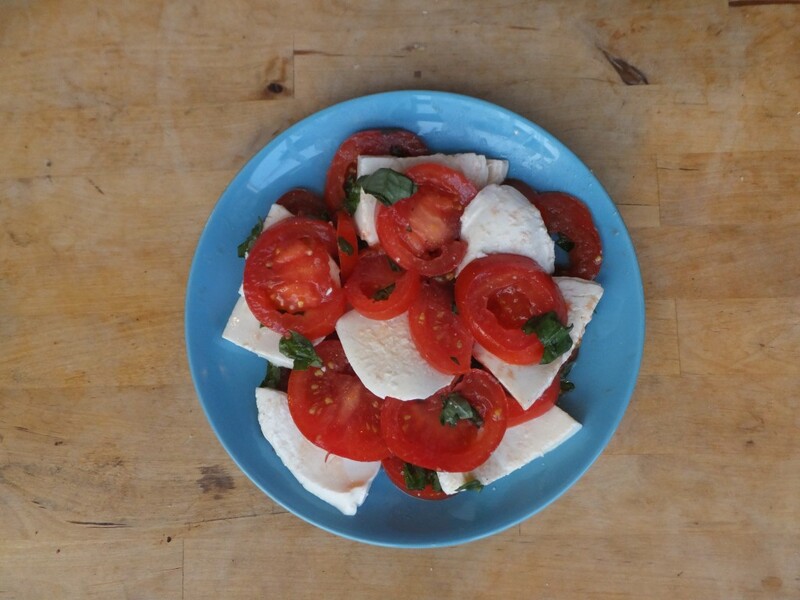 I will take any excuse to eat a large amount of cheese and my current excuse is Caprese Salad. 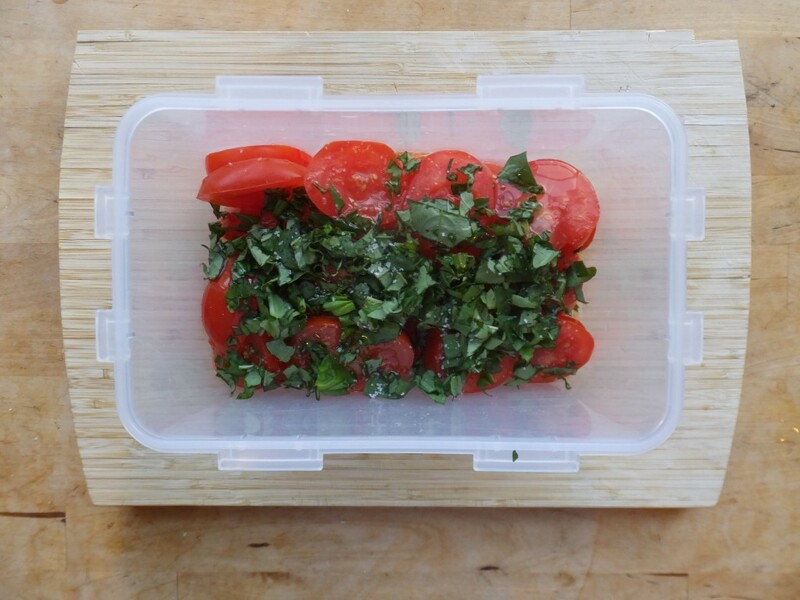 Besides mozzarella, this salad also features tomatoes and basil, meaning you can flaunt it as a healthy meal to that coworker who is literally always drinking a green smoothie. 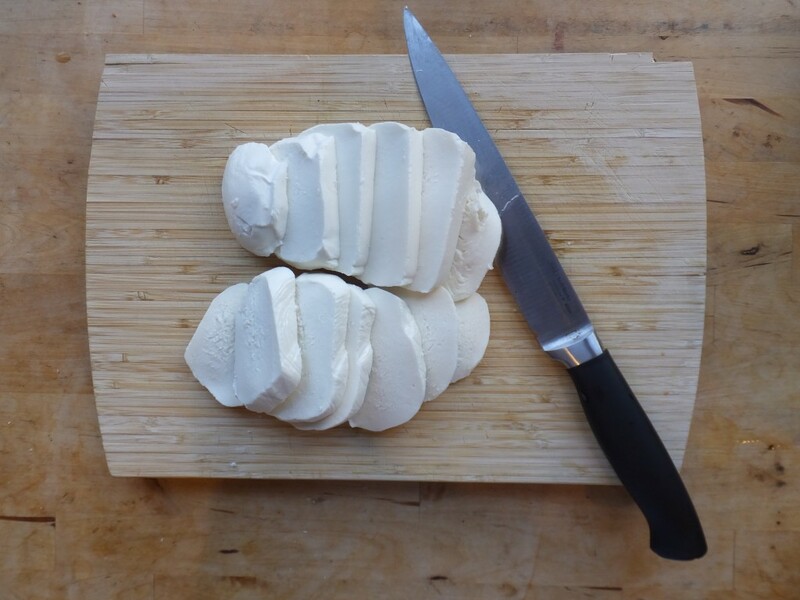 If you don’t need to one-up a colleague, you can serve this recipe on some ciabatta bread for a no-fork-necessary-but-probably-napkins-needed delight. 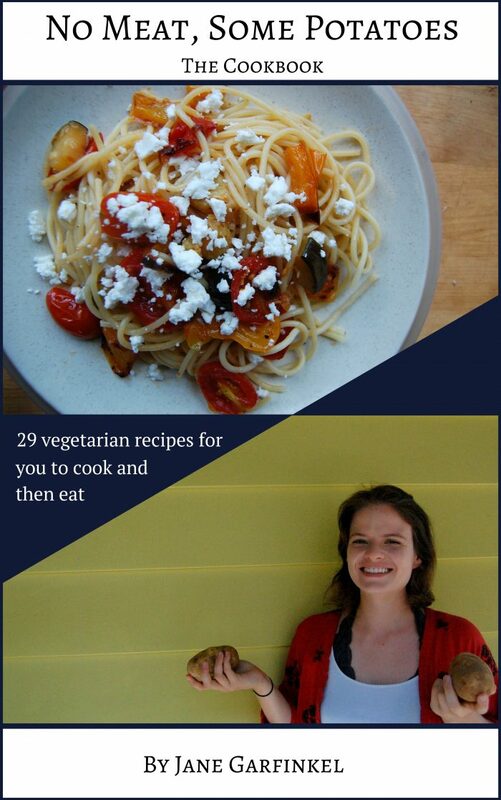 Extremely easy to make, your meal can be prepared and consumed before Netflix asks if you want to continue watching. 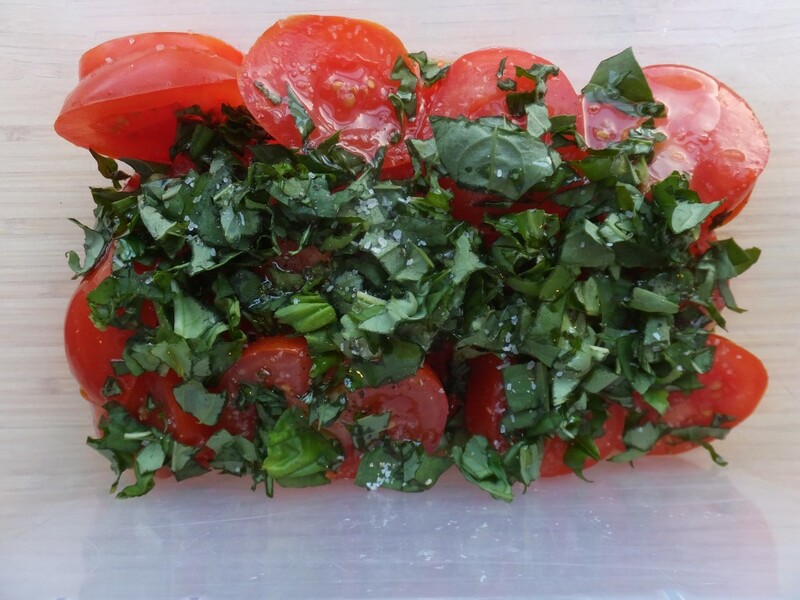 The reason I wanted to make something simple like caprese salad is because I’ve been busy. I spent the past weekend in New Jersey and then immediately moved into a new house. While only a ten-minute walk from my old place, those ten minutes make quite the difference. This is evidenced by my new cutting board, an abundance of natural light, and the lighthearted attitude I’ve developed due to living with very chill people. To be clear, there’s already been a cockroach sighting since I’ve moved in, but I have a good feeling about this place. Plus there’s a chandelier! (With one working light bulb). 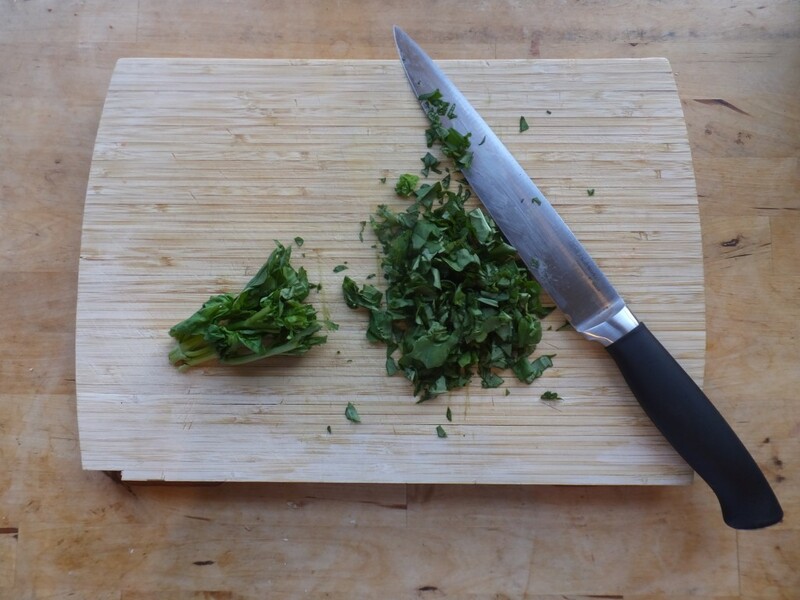 Most of the steps to this recipe are cutting and waiting. You can do that! 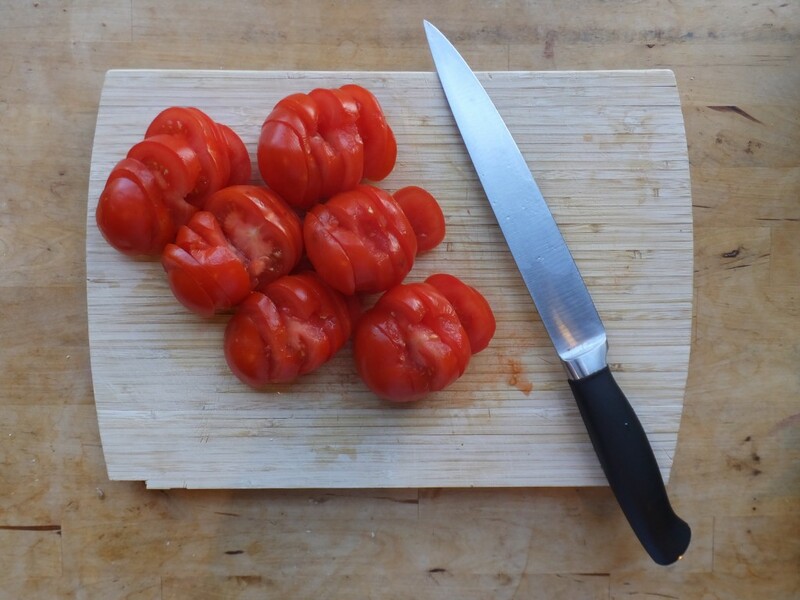 Cut the tomatoes. 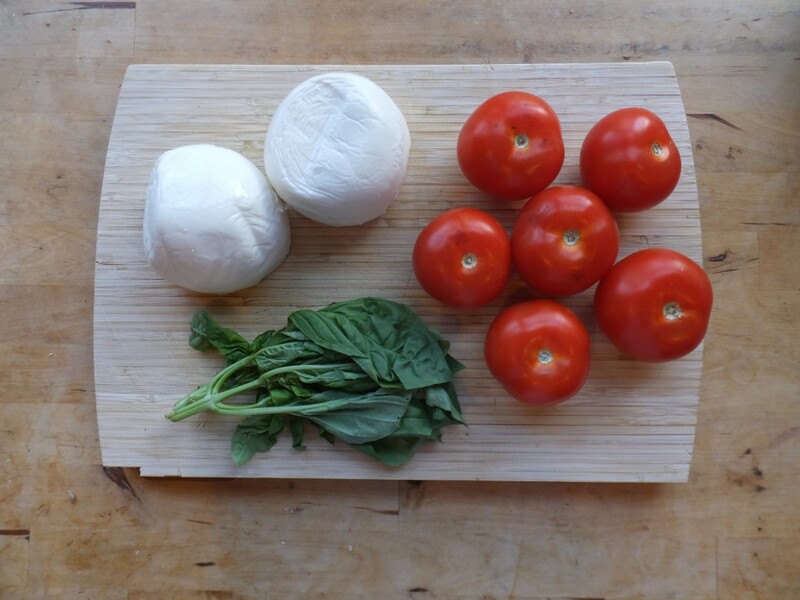 Put the two together and drizzle olive oil over the top. Then sprinkle with salt and pepper. Check out this close up. Mix it up and let the flavors meld. 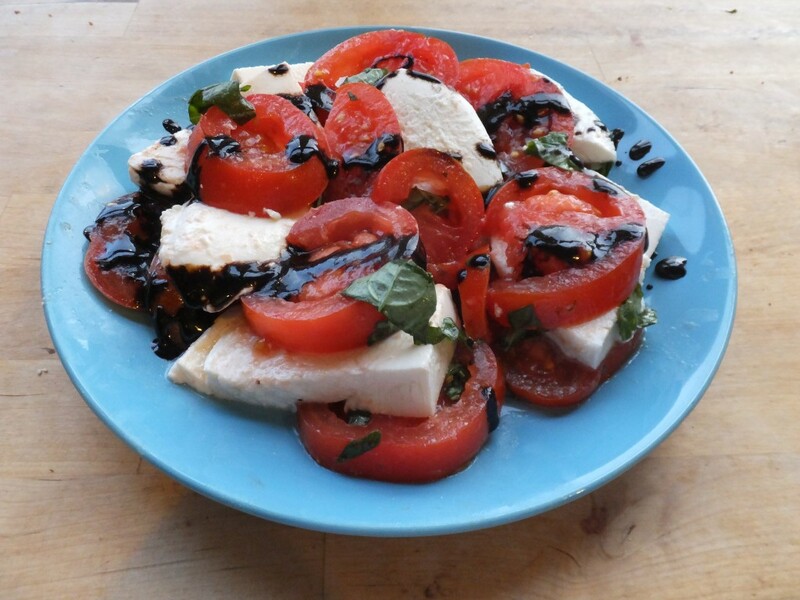 While your tomatoes are resting it’s time to start the balsamic reduction. 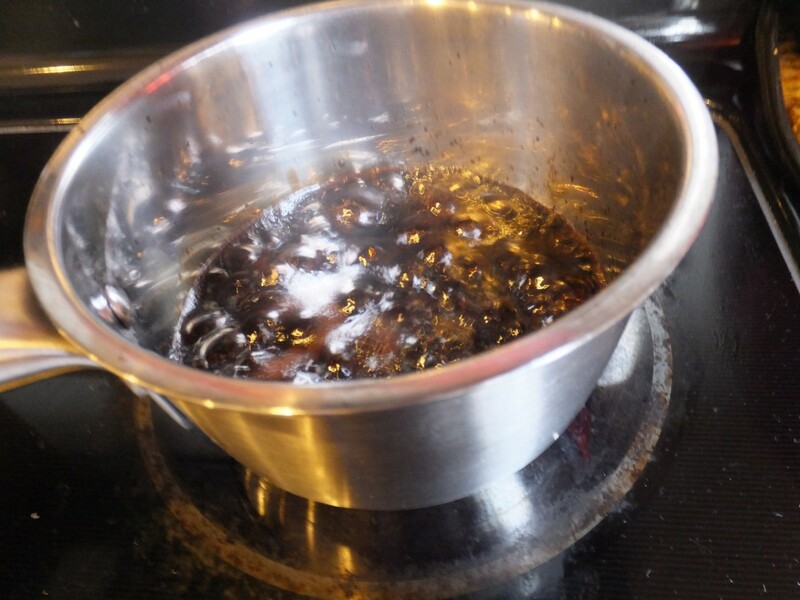 To make a small amount, simmer a cup of vinegar for about 10 minutes. 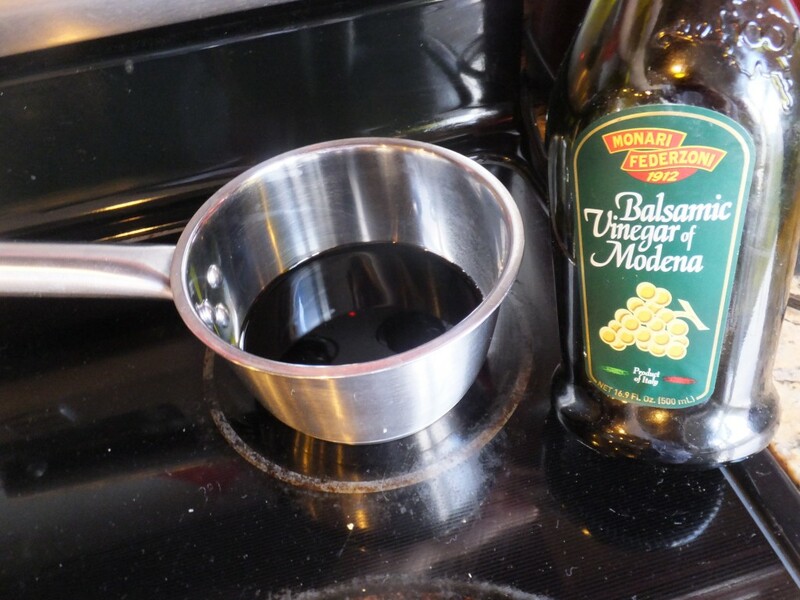 Make sure not to burn the vinegar. This pictures shows it boiling perhaps just a bit too vigorously. You’ll know it’s done when the sauce thickens and dribbles rather than drips. 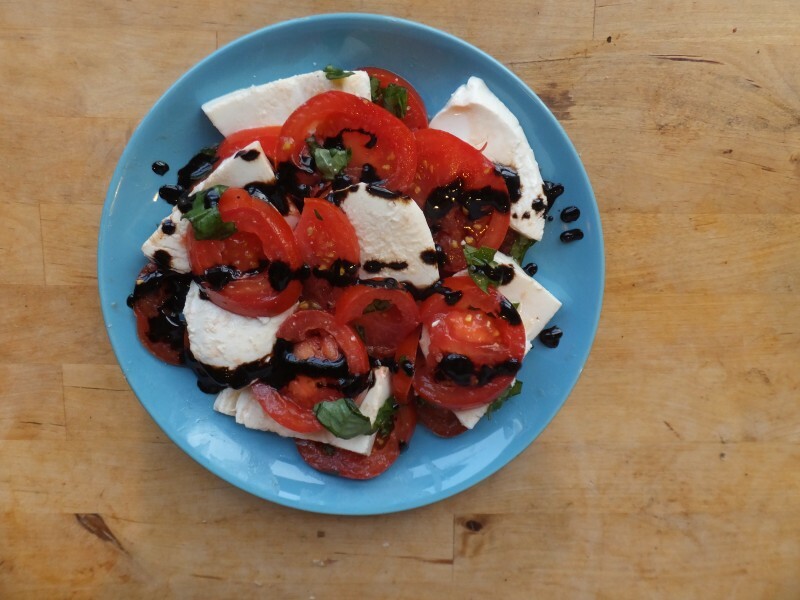 Create your caprese salad an try not to eat all of the mozzarella in the process. 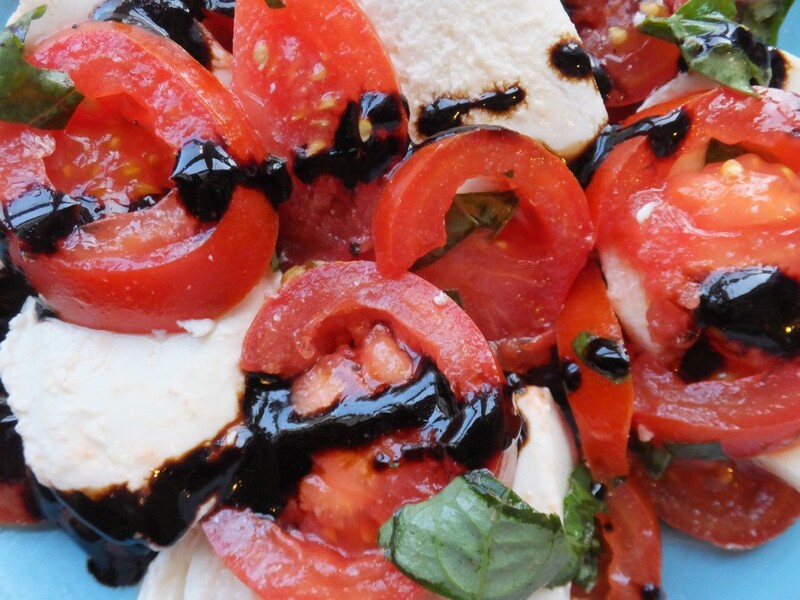 Drizzle the balsamic reduction on top and add more salt and pepper if you need it. 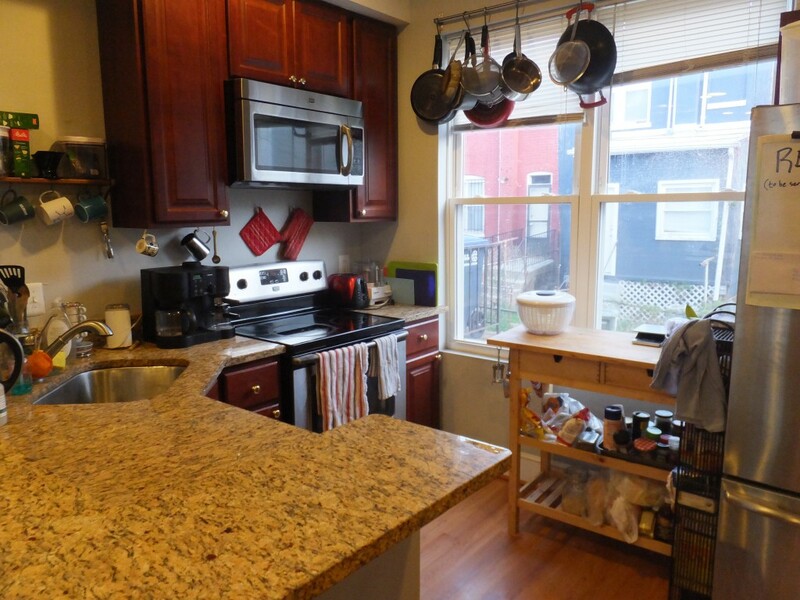 Here’s a picture of my new kitchen. Windows! !